I have been an actual potato recently. I am always bad at Easter time who isn't? Although I have had two weeks at home with a puppy and I have just eaten solidly! So I thought to break this awful food rut I will treat myself to some decent work out leggings. 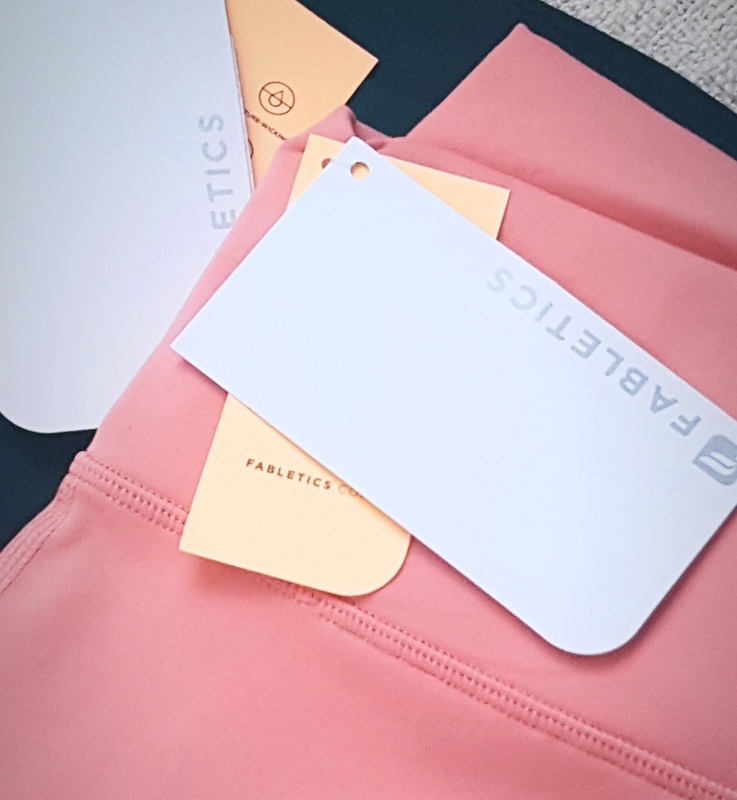 I had seen Fabletics everywhere at the moment and wanted to take full advantage of the two pairs for £24 offer. which is a charcoal grey. I was very impressed with the quality of the material and the fact that they are actually high waisted on me. This is normally a massive risk for me as due to my height high waisted can also mean only comes up to your hips! So annoying! Anyway I was pleased with the length of the leggings and they fit well. They are super tight I mean the booty definitely shows in these. There is no hiding! Although it is in a flattering way. The only things I would say is that the pink ones are a little see through which is disappointing as I didn't really want to be worried about what type of underwear to wear to gym. Especially as these leggings were meant to be £68! For a price like that you would assume that the material would not be see through at all. Also another high waisted problem is that some trousers that have the large waist band can become stretched and ineffective pretty quickly and they did seem to have the same vibe as I was doing some light exercise. I hope they prove me wrong as the quality, fit and colours of the leggings are lovely. Have you tried Fabletics, if so what do you think about them? Is it just me or do we seem to be having a puppy boom at the moment? Everyone is welcoming new fur babies into their family and we are no exception. We have always wanted a dog but with my husband's allergies and my OCD we were worried about certain elements of having a puppy. Anyone you ask will say it is not easy and boy are they right! I know it is meant to be training for a child but babies don't constantly bite and run and try to eat slugs. I will write another post about how our boy is getting on in more detail. I just wanted to talk about the process of finding our puppy and why we chose him. We had particular needs when it came to having a puppy. We needed hypoallergenic with a low to no shedding coat. 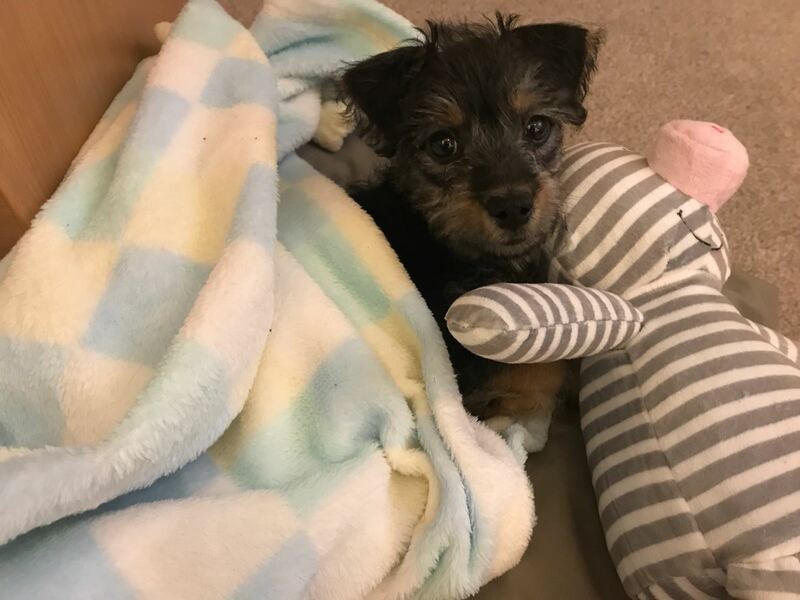 We came across our 'Chewie' online and we fell in love immediately, reading that he completely fell in line with what we needed was great. He is a Jackapoo and considering he is part toy poodle he has got pretty fast growing legs! He is definitely a terrier and loves to dig. We booked into visit him the next day and it was a long and slightly stressful journey but so worth it. He stood out from the rest of the litter. He looked nothing like his sisters. He was the only boy and the girls all looked like little cream puffs with black splodges. Gorgeous but Chewie was really something special for us as he was tiny and obviously the cutest. We had a really good vibe from the breeder. The mother and Nanny dog lived together and were deeply loved. All the puppies were confident and comfortable around people. The lady was so helpful and went above and beyond to help us when we decided he was the one for us. We even had pup dates in the following two weeks, prior to picking him up. The mom was not going to be breeded again and she had only mated once before with her choice of dog. Apparently she knew what she wanted in a male and previous suitors had not been good enough. Our first meeting was so lovely he sat with us and played with us and we just wanted to take him there and then. On the day of collection he was given a piece of blanket that smelt of his family and a teddy he was fond of. He sat in my arms straight away and didn't really understand where we were going. It did break my heart when his mom looked at me in the eyes as if to say "I know what you are doing". He sat with me beautifully the hour journey home. Now he is definitely comfortable with us, you might say a bit too comfortable! Have you had any new additions?